A teaching session was in progress at the main Shrine hall of the Gyuto Monastry, Dharamshala. 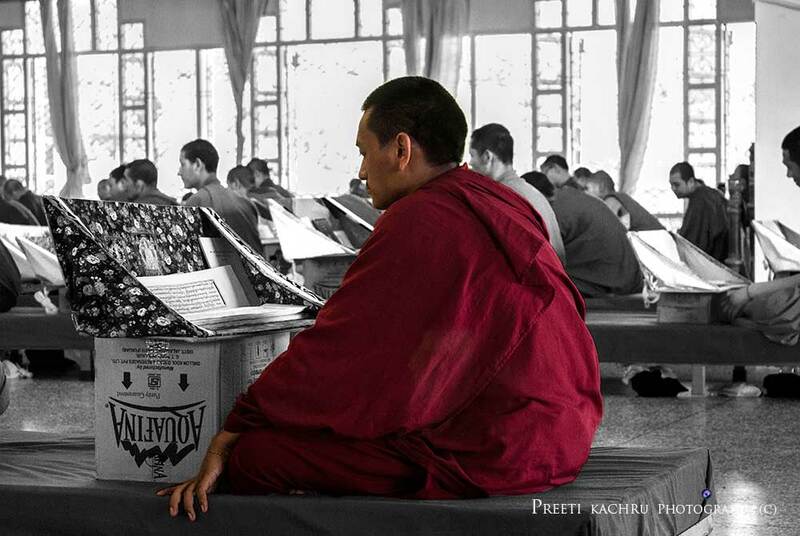 I captured the young monks in maroon robes reading sacred Buddhist texts. I saw an interesting and innovative way of using cardboard boxes as makeshift tables. A senior monk seated near the shrine was taking the session for the young participants. Overall it was an amazing experience.